Identifying a good trading opportunity and setting your maximum loss is all to no avail if you don?t know how you?re going to. Typically, in most trading books, trade exit is covered in the discussion on risk management. To me, profitable exits deserves its own category, more aptly called profit management. Before you enter a trade, you should always know how you will exit it. How you will exit a profitable trade. Both stops must be written down before you enter the trade ? mental stops don?t count! Having these two exits pre-defined ensures you adhere to the age-old rule of trading: let your profits run and cut your losses short. As human beings, we are hardwired to fail as traders. What we need to do to be profitable traders really is counter intuitive. The intuitive reaction when a trade goes against you is to hold on until it turns around.In so many other areas of our lives we are taught to be patient and hang on? All good things come to those who wait. But in trading it?s different. Unfortunately, and most likely, if you hang on, these losses will be compounded as time passes.? The counter intuitive reaction is to cut losses short and move onto the next trade.Similarly, the intuitive reaction to a trade turning profitable is to sell. Our human nature is to crystallise this profitable trade and come out a ?winner?. Clearly, this is in direct conflict to the rule of letting your profits run.The counter intuitive (and correct) response is to let your profits run. So how do you know when to implement your trade exit plan? By using a trailing stop. In short, trailing stops are typically set in a very similar method to your initial stops, that is, based on technicals, indicators and/or percentages.The only real difference is the price at which you calculate. Your initial stop is calculated from your entry price whereas your trailing stop is calculated from the highest price since entry. In this way, this stop ?trails? price? as price moves up, so too does your stop. Trailing stops will allow you to ride the trend for longer, while locking in profits should the trend reach its end.The trick is to find the balance between giving your trade enough room to move, while also having the stop tight enough to not give back too much profit. Again, to echo what was said in the previous chapter: Generally, short-term traders will set their stops closer to the price, while longer term traders tend to give their trades a little more room to move. Despite the fact I always say it doesn?t matter so much what you choose ? the important thing is just to have something in place, I?m still often asked what method I use for setting my stops. I personally like a stop I call the ?LL stop?. The LL stop looks for the lowest low (LL) in the past x number of periods, where x is set based on the style of the system I?m trading. I then set my stop one to two points below this point.For example, here?s how I define this in one of my short?medium-term trading systems. My initial stop is set to be the lowest low (in price) over the past 21 days. As the trade progresses and my trailing stop kicks in, I look for the lowest low in the past 21 days as calculated from the current price. It?s a great little method, since I find it not only respects a security?s volatility (setting the stop wider or tighter based on price action) but it also has a great knack for finding support lines and setting your stops one to two points below. Think of setting your trade exits as an ejector seat when things go wrong and a seatbelt to strap you in when things go right. As with entry conditions, exits should be precisely defined and 100% mechanical, with no room for emotional intervention. Part of becoming an experienced trader is not only learning the markets and developing a discipline for sticking to your strategy, but also preparing yourself to take a loss. Once you start trading, you will learn to not get so attached to individual trades ? not to sweat the small stuff. You will be better able to see the big picture and see how small losses are a real and unavoidable part of any successful trader?s system. You are now ready to document your trade exit rules. By documenting your trade exit rules you have just put yourself among the top 1% of traders. Using both Trading Secrets Revealed and the package containing your entry signals, your next task is to document your trailing stop rules. Ps. Please, if you get a chance, remember to share this website with others. David eveything, including this chapter is great, I cant believe this site isnt more known. Its a must for traders. I’m definitely going to forward this to all the people I know as a recommendation for trading. Thanks for the feedback and support. I really do appreciate you helping getting the word out and if there’s anything more I can do for you, please let me know. I am trying to incorporate your ideas to my trades but I am a bit confused on your “LL stop” and again how would you apply that if you had bought CNLG at 2.50, then seeing it sliding down passing below $ 2 and heading for the 1.29 where it was lowest in the past month ? Thanks for your email… please let me know if you own my Trading Secrets Revealed course, I only ask so I can point you to the correct page to answer your question. If not, you might want to check out: http://www.trading-secrets-revealed.com … this course deals with exactly how to handle a situation like CNLG. No I do not have that course, but the way you explain your “LL” stop seems straight forward, tried the link you provided but only got a page with adverts. But last week I took your advice to write down the trading plan and perhaps that did some thing as did a good 10% trade on PSID and could have done another 15% (both intraday) using another account (due to frequency restricions). day by day I am becoming a fan of ur trading system….LL stop means u put trailing stop below 21 DMA???? ?plz reply……I am also in ur fb frnd list….its called ‘papai’…. Great Olaf, sounds like you’re on the right track! Also the link appears to be working now. Please give it another go. And Saikat, thanks for your email. 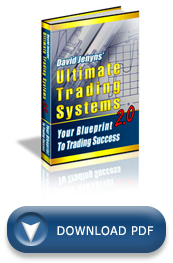 With regards to the LL stop… (same as Olaf) please let me know if you have a copy of http://www.trading-secrets-revealed.com I only ask since I can then point you to the section that answers your question. Let me know. Sadly, it’s not a super short/simple reply I can post here. This is great material. Can the LL(trailing stop of 21 Days) be used for exiting with stock option trades?